The U.S. Forest Service has the opportunity to deny Twin Metals’ request to renew mineral leases near the Boundary Waters Wilderness Area. Now is the time to voice support and protect this very special place from the harmful impacts of mining. Guest post by Matt Norton is a part of our America’s Most Endangered Rivers® series spotlighting the Boundary Waters. Paddling against the current is equal parts exhilarating and challenging. The continued effort to protect the Boundary Waters Wilderness is often exhilarating and challenging too. 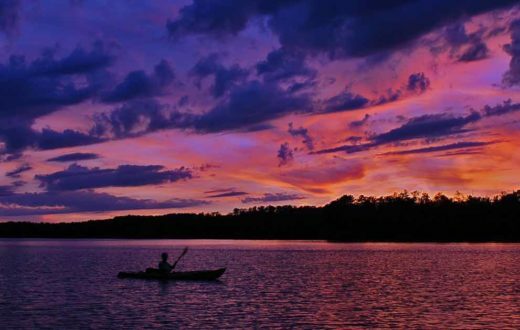 This 1.1 million acre Wilderness in northeastern Minnesota is a mosaic landscape composed of different forest types, wetlands, and streams, shot-through with a vast network of interconnected lakes and rivers. The scenery is beautiful, there’s lots of wildlife one rarely sees elsewhere, and the fishing and hunting opportunities are the finest I’ve ever enjoyed. Some of my most cherished memories are of time spent in the Boundary Waters Wilderness with family and friends. The Wilderness faces a great threat from Twin Metals, a mining company owned by Chilean mining giant Antofagasta, which proposes to build a sulfide-ore copper mining operation just outside its borders. 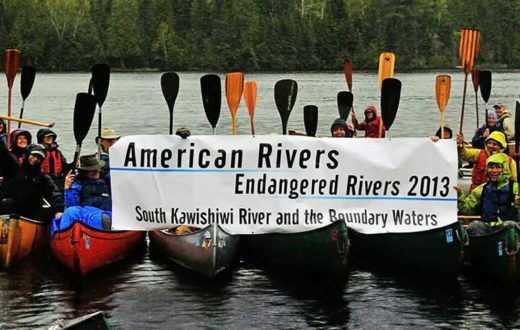 American Rivers recognized this threat by naming the Kawishiwi River, which is on the path of pollution from the proposed mine, as one of America’s Most Endangered Rivers® in 2013. American Rivers is working with the Campaign to Save the Boundary Waters to protect the area. The challenge we face right now is to urge the U.S. Forest Service not to renew Twin Metals’ expired federal mineral leases. Now is the time to act, as the Forest Service is taking public input through July 20, 2016. 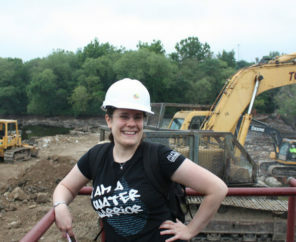 These mineral leases are more than 50 years old, and have never undergone environmental review, as they were issued before passage of the federal Clean Water Act and National Environmental Policy Act. Today, we understand so much more about the risks to nearby waterways, and we are at a critical crossroads in the future of these rivers and lakes. According to a statewide poll released in early March 2016, 67 percent of Minnesotans oppose, “sulfide-ore copper mines on the edge of the Boundary Waters Wilderness.” Keep in mind that this type of mining has never been done in Minnesota, and has never been done anywhere in the world without polluting. Protecting the Boundary Waters is not something we can do alone. The Bureau of Land Management ultimately holds the authority to renew or deny these leases, but they recently asked the U.S. Forest Service if it would grant or withhold consent for renewal of the leases. Saying the agency is “deeply concerned,” the U.S. Forest Service announced on June 13 that it is “considering withholding consent for lease renewal” of Twin Metals’ request to renew two 50-year-old, expired federal mineral leases on the edge of the Boundary Waters Wilderness. Anyone who believes in the value of clean water, the outdoor industry, and the endless power of the Wilderness should stand with us and partners like American Rivers on this issue. Join us at the Forest Service listening session in Duluth on July 13 to tell the Forest Service to protect the Boundary Waters. Your voice counts. If you can’t make it to Duluth, we still need your help! Please tell the Forest Service to protect the Boundary Waters from harmful mining! 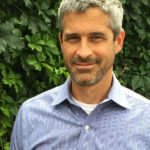 Matt Norton is the Policy Director at Save the Boundary Waters. The Campaign to Save the Boundary Waters is leading the effort to ensure permanent protection for the Boundary Waters Wilderness, America’s most visited Wilderness and Minnesota’s crown jewel, from proposed sulfide-ore copper mining. Please save the Boundary Waters from any kind of mining or environmental threat. Few of our pristine public lands are pristine and once sullied it is impossible to return them to their original state. It would be a shame to allow this. For four years as a Scoutmaster I took my older boys on 100 mile trips through the BWCAW. They learned to appreciate the wilderness, the solitude, the quietness of this wonderful place and will remember these trips for the rest of their lives – and hopefully pass it on to their children.